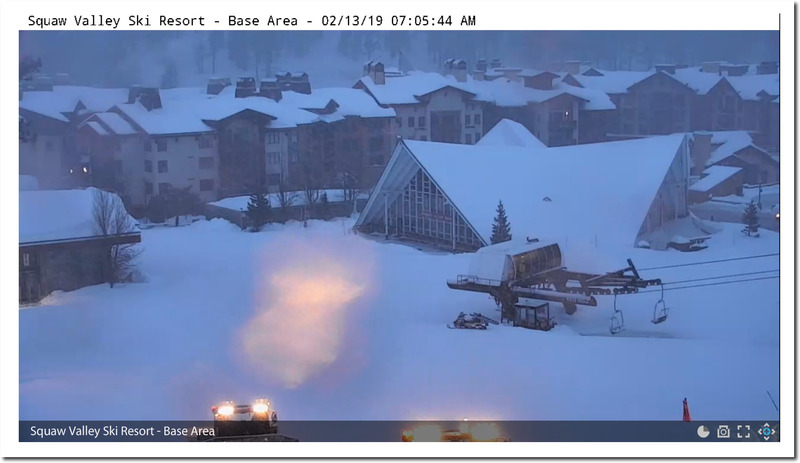 Three years ago, California Governor Jerry Brown announced the California global warming induced permanent drought, as well as his plans to end the drought by building a high speed rail line which nearly bankrupted the state. This came 40 years after he announced the global cooling catastrophic drought in California. Just as California lands in such a desperate state of drought, the new governor has cancelled Jerry Brown’s choo-choo train. I remember well when Gov. Strickland of my state was touting hi-speed rail, more so after the last Green New Deal (then known as Obama Stimulus package) in ’09 would have supposedly paid for it. State would only need to cover maintenance and operation. Amazingly (not), our news folks were all in, and those who called it a boondoggle were avoided by the press. I recall a study released in ’10 favored it, even though the details of the study showed a couple billion $ would only get us improvements to tracks and 20th century tech passenger trains, top speed 88 mph. Next election for Gov had Kasich (before he lost his mind) campaigning against it, and Strickland for it. Press attacked Kasich, he won anyway and moved to cancel it, turning down all that free money. I distinctly remember press attacking Kasich, saying “those billions will only go to other states like CA, and they’ll build hi-speed rail that’ll leave OH behind” blah blah. And here we are. The new Obama, AOC (at least they don’t need to hide her middle name) touts hi-speed rail as the answer even as it collapses. IN CA!! I’m sure this time the press will cover it as a scandalous waste of money, and criticize Alexandria Obama Cortez. In 3…2…1…never ever. To be fair, occasionally the progressive journalistic troops tried to advance the front and stop hiding Obama’s middle name. It didn’t work because the dislike was not about his middle name. These morons just don’t understand that if a transgendered woman of undefined mixed-race origin named Jeffrey Farrakhan Muhammad Dahmer appeared on the political scene running on solid conservative policies we would support her. 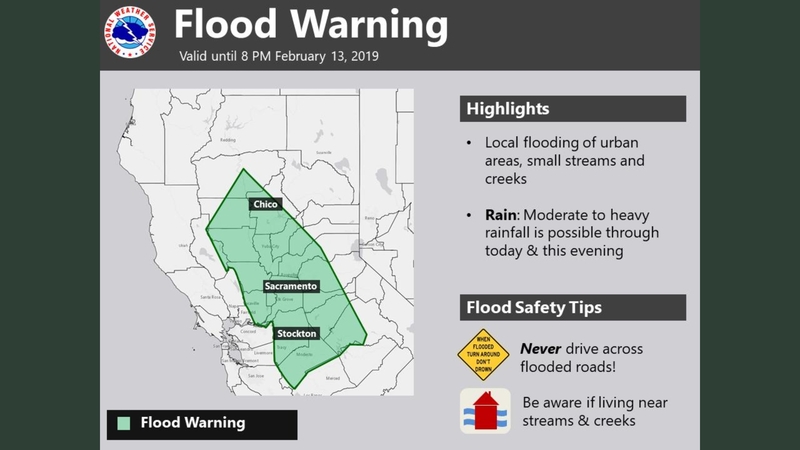 We effectively have a permanent drought in Kalifornia which Moonbeam started in his first reign of terror in the 70s. We had a grand infrastructure project going back then which would have built dozens of reservoirs and a marvelous canal system that would have assured the state would never run short of water by rational management of the adequate Sierra Nevada snow runoff. He shut that down and doubled-down by declaring the non-native snail darter an endangered species, forcing the state to dump 70% of our fresh water into San Francisco bay. Drive thru the Central Valley and you see thousands of the most fertile acreage in the world lying fallow du to this Marxist tyrant’s whims. Sadly I left my home her and moved to Texas. There is no limit to the evil that Marxism dishes out on humanity. And don’t be fooled by new Marxist tyrant Gavin Newsome’s cancelling of the Moonbeam Special choo choo. He will diver that money to the $1/2Trillion he needs to provide free medical care to the flood of illegal Central American voters invading the state. Unfortunately, all the money wasted on the utopian dreams of Gov Brown will never be recovered – and imagine the good that money would have produced by putting it into the road and highway infrastructure which is sorely in need of repair. The truth is the large illegal population relies on public transit – hence the massive shift in state funds to mass transit – the democrats playing up to their new voting base. Thought I left a comment, but….In OH ’08, Dem Gov Strickland had promoted hi-speed rail, and got a bit boost when Obama’s Stimulus (let’s call it the Green Old Deal) would have paid for it. A white paper in ’10 said it could be installed with free federal money. Even though the details showed the “installed” meant some track bed improvement and 20th century passenger trains (top speed 88mph as I recall, average much less), our news outlet kept beating the drum. Kasich (before he lost his mind) ran against Strickland in ’10, ran against train. Press pounced on the idea that Kasich would turn down all this fed. money, but he won handily and cancelled train. I distinctly recall the press saying “those $ will just go to other states like CA and they’ll leave OH behind” blah blah. And here we are, with our press spending 10 yrs ignoring CA futility and now ignoring this story. AND Alexandria Obama Cortez touting (wait for it) hi-speed rail in 10 yrs. This time, I’m sure our newspapers will leap at this as a scandalous waste of money. Tony, you left me in tears as you do often with the choo-choo train cancelled comment – of course Brown is the perfect target, but he is a gift that keeps on giving for those like you that do your homework, bravo Tony!!! I am a fellow Boulderite. I deeply appreciate your work. I would enjoy meeting for coffee sometime. My wife and I have a non profit… an arts, education, research organization, more of a contemporary Think Tank. We just came across Jem Bendell and an article from July 2018; Deep Adaptation. Curious as to your thoughts. California, home of the high speed fail. All 3 Sierra regions are well above 100% of the average total for the day and the central hit 100% for the April 1st average today with the south at 98% (north is lagging at 88% but there’s a big storm hitting now so it will be up there as well). 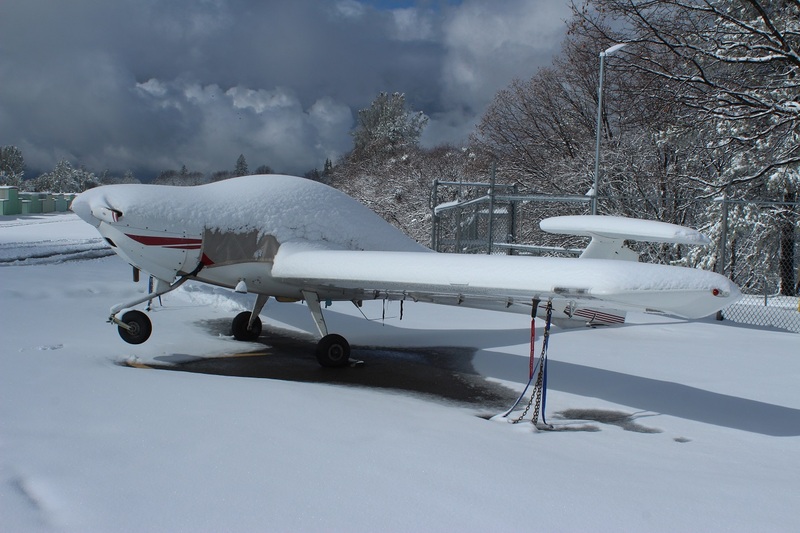 4″ of snow at the Placerville, CA airport. 2585′ elevation in the foothills of the Sierra Nevada. Since then we’ve had another inch, and a few more are predicted for this weekend. 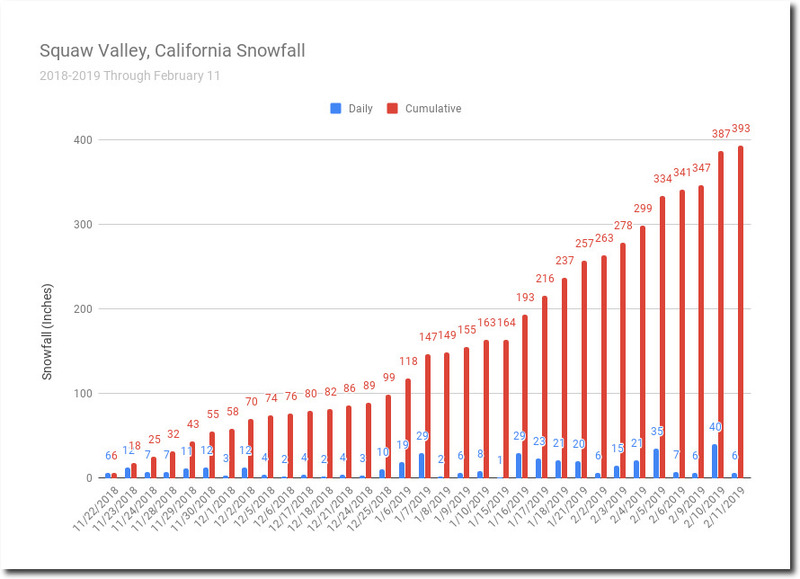 It doesn’t usually snow here except when the solar cycle hits a minimum….